The goal of this page is to augment the formal information provided by NTNU official description of the software engineering course, the course home page, and the material available on it’s learning. The purpose is to have an open channel to share information and experience about this course with National and International colleagues (both in Academia and in Industry) as well as providing a more informal channel of communication with students. Students and colleagues are invited to comment. From 2012-2013 I am responsible for this course. Information is added in Chronological order (in blog style). 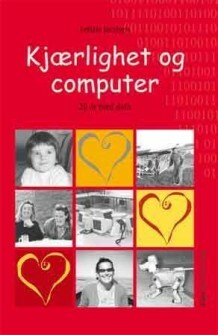 At the end of the page a list of software engineering terms and its translation in Norwegian is under construction. added 19.03 Capers Jones, Chief Scientist Emeritus, Software Productivity Research, Inc.
added 26.01 Gled dere til forelesning til Per Håkon Meland på tirsdag. Per Håkon har lang erfaring med Requirements specification fra nasjonale og internasjonale prosjekter og han skal dele noen eksempler med oss. Forelesningen handler om «Requirements specification». Det er en fordel om dere leser kapitel 4 i læreboka på forhånd og helst forbereder noen spørsmål til ham. Dessuten dere kan godt ha læreboka med på tirsdag. added 28.12.2012 example of project plan taken from the Eclipse Process Framework project. Git: Versjonskontrollsystemet som er mest i vinden for tiden. Ant: Enkelt (kanskje litt for enkelt) byggeverktøy. Eclipse har integrasjon for alle disse.